Eating should be fun, not cause for fear. But for children with food allergies, the condition transforms even simple pleasures like parties and picnics into dangerous minefields. Instead of resigning themselves to a lifetime of avoidance and exclusion, food allergy sufferers can now take action and embrace the promise of desensitization therapy. 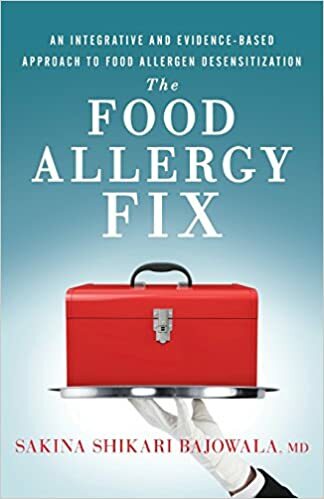 In The Food Allergy Fix, board-certified allergist and immunologist Dr. Sakina Bajowala discusses how allergies can be managed through sublingual and oral immunotherapy, which retrains overactive immune systems through the precise administration of foods. Combining rich history and current scientific research, Dr. Bajowala arms parents and patients with the tools they need to begin working with a trained immunologist, while walking readers through her innovative and holistic treatment process. The incredible success of Dr. Bajowala’s integrative approach proves that it is possible to live in a world free from the chains of a food allergy diagnosis. This book is the first step toward reclaiming freedom.